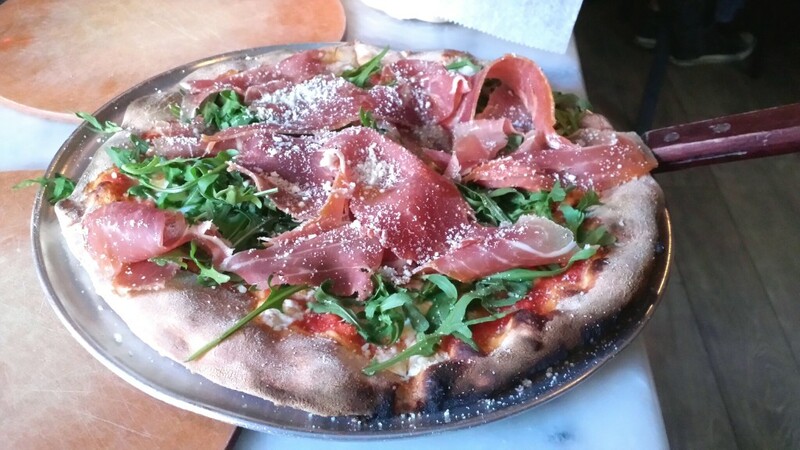 Many of you are probably aware of my high praise for Capizzi, a pizza, light Italian fare and wine spot on 9th Avenue near the back side of the Port Authority in Hell’s Kitchen. The food is spectacular, and the service is stellar. I highly recommend it. Well, the news here is that they recently opened a second location out on Staten Island, which has a much different menu. I figured I would take the opportunity to let my readers know about it, and highlight some of the items from that menu that owner Joe Calcagno pointed out to me. Casarecce, their “Sicilian Mac & Cheese,” is homemade pasta with truffles, truffle oil, fresh burrata and roasted tomato – all cooked in their wood burning oven. $18 sounds like a steal for all of that high quality stuff. Their red snapper is served with a tequila sauce (!!!) 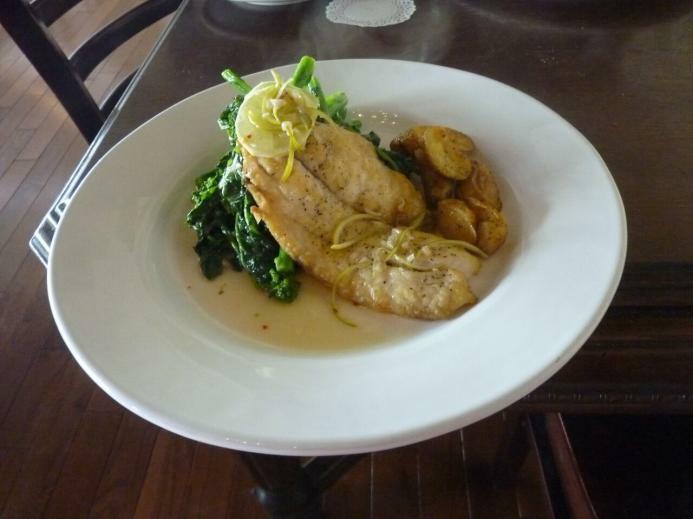 and comes with broccoli rabe and roasted potatoes for just $25. 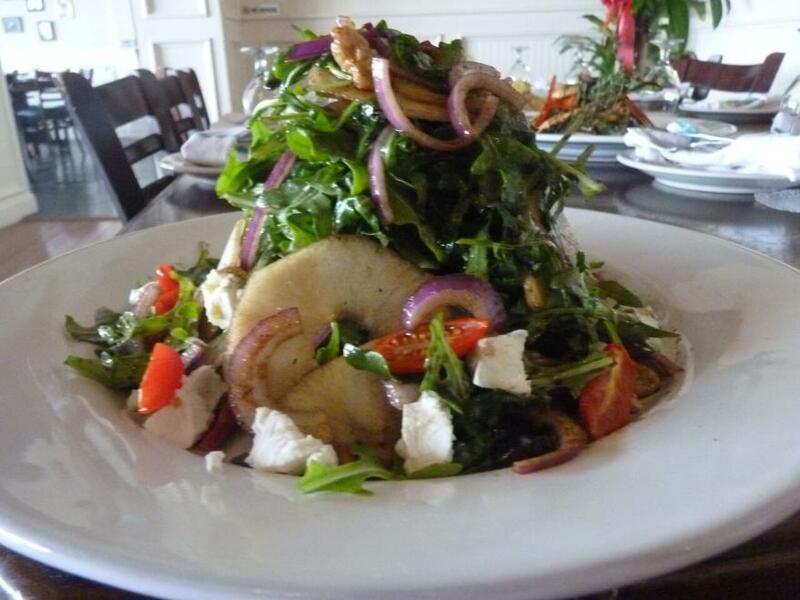 For the lighter appetite, the $10 arugula salad with tomatoes, onions, green apples, cranberries, walnuts and goat cheese is simply tossed with balsamic vinegar and olive oil. You’re probably noticing that the portion sizes are all big. Bigger isn’t always better at some places, but Capizzi uses insanely high quality ingredients, so bigger is most definitely better here. The best part is that you can still get all those awesome pizzas and high-end Italian meats here, just like the Hell’s Kitchen location. The Staten Island joint just has a bigger, more diverse menu. All the pastas, raviolis, deserts, etc. are made in-house, fresh from scratch, every day. 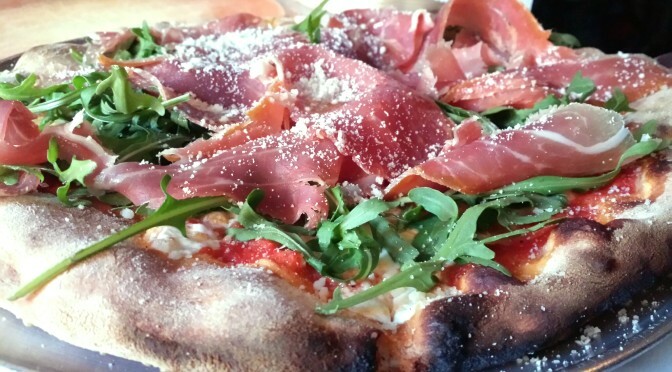 The genuine wood-burning oven (built by owner Joe Calcagno himself) is used to create some of the finest oven-roasted meat and fish dishes, along with those amazing pizzas that are reminiscent of old world Italy. Capizzi uses local fresh fish, produce and imports, with many of the ingredients arriving from Sicily on a weekly basis. 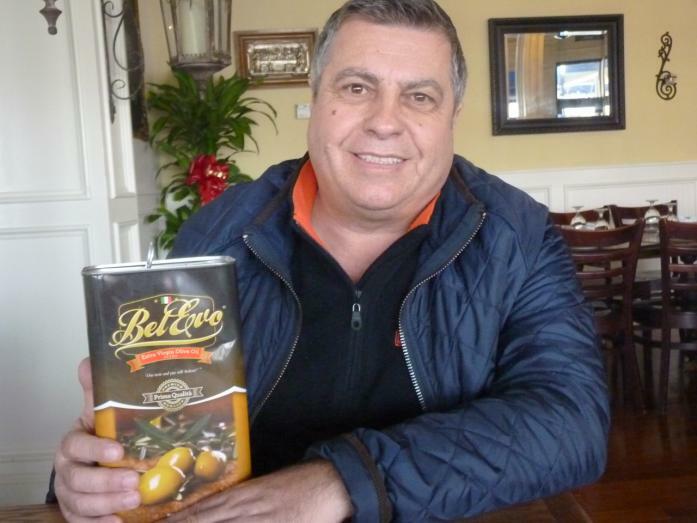 Joe also developed his own olive oil and started a company called Bel Evo, which is produces his all natural and chemical free olive oil, which is unlike many mass-produced olive oils being sold out there. Bel Evo is a blend of high quality extra virgin olive oils and vegetable oils with a great, bold olive taste, with a deep green color and a thick luxurious consistency that makes it a great option for all chefs and restaurateurs. It fits nicely with salads, pastas and pizzas, and with its high smoke point, it’s ideal for sauteing in a pan. As a little boy, Calcagno’s grandmother introduced him to the freshest and finest Italian food available, when accompanying her on her rounds of Bensonhurst, Brooklyn. Together they visited the best shops for freshly butchered chicken, sausage, just-baked bread, pastries, vegetables, ravioli and everything else needed for a traditional Italian Sunday dinner (God, how I miss those). He also helped out in the family garden, growing tomatoes, eggplant and peppers to be canned, and wrapping fig trees for the winter (a feat of willpower, patience and strength). 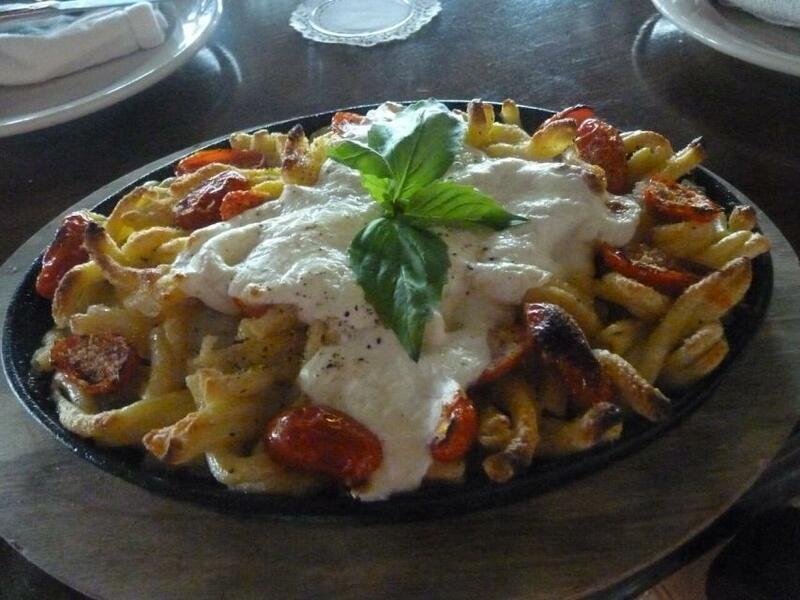 Today Joe owns a few of his own Italian restaurants, keeping his family’s tradition alive. Capizzi, the restaurants’ namesake, is a small town in Sicily (a province of Mesina) where Joe’s parents and grandparents grew up. His restaurants are a tribute to them and to a time when things were simple, with fresh-made meals that were constructed with a sense of pride.